As the careful, conscientious grower you are, you’ve decided to take samples of your irrigation water to a lab for testing. When the results come back, you see a “Cl–” concentration of 65 parts per million (ppm). You see those letters, “Cl” and grow a bit concerned. After all, isn’t it bad to have chlorine in your soil? Not so fast! It might surprise you to know that the “Cl–” on that water analysis report represents chloride, not chlorine. Confusing chlorine with chloride is extremely common, even among experienced growers. We’d like to take a moment to clear up the difference between these two parameters and explain where they fit into the irrigation and agricultural process. Chloride (typically labeled Cl–) is the ion form of chlorine – usually the result of chlorine being bonded with another substance. Chloride is extremely common in nature and it’s all around us, most often in the form of sodium chloride (commonly known as table salt). In fact, chloride makes up about 0.15% of the average adult’s total body weight. Chloride is easily absorbed by plants and is commonly found in soil as a result of natural and human processes like the fall of rainwater, irrigation, and even air pollution. 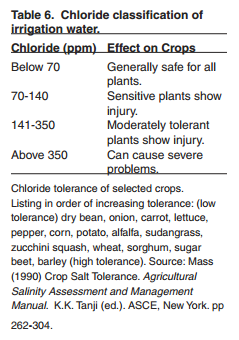 Chloride is a very important micronutrient, and all plants need a least a little bit of it. However, too much chloride in soil can be associated with salinity damage and even toxicity. Chloride toxicity is usually indicated by dead edges and tips of plant leaves. Too little chloride can result in a wilted root system with too many branches, or wilted or stubby blade tips on the plant. The main ingredient in Accu-Tab™ tablets, calcium hypochlorite, when combined with water in the Accu-Tab Chlorination System transforms into hypochlorous acid. Hypochlorous acid is effective at disinfecting water and reducing algae and slime build up in irrigation lines both of which are crucial to an efficient and safe growing operation. What Does this Mean for My Farm? 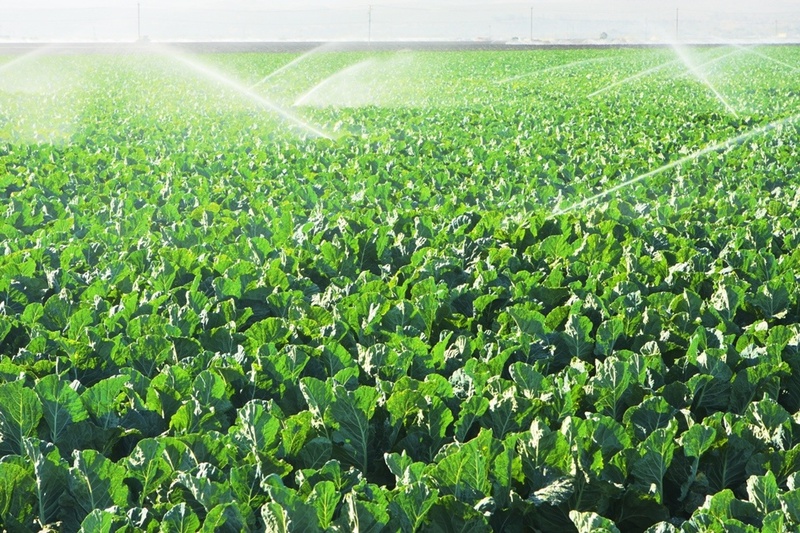 Chlorine and chloride are both essential substances when it comes to watering your fields, cultivating safe, robust crops and keeping your irrigation system running smoothly. However, the two substances are extremely different. Chlorine in the form of hypochlorous acid, is an efficient, cost-effective, long-term solution to preventing bacterial and fungal growth in your irrigation lines. Growers looking for a safe, low-maintenance, cost-effective way to treat their irrigation water can rest assured that the available chlorine produced in the Accu-Tab® calcium hypochlorite feed system is different than the chloride ion [Cl–] found on their water analysis.